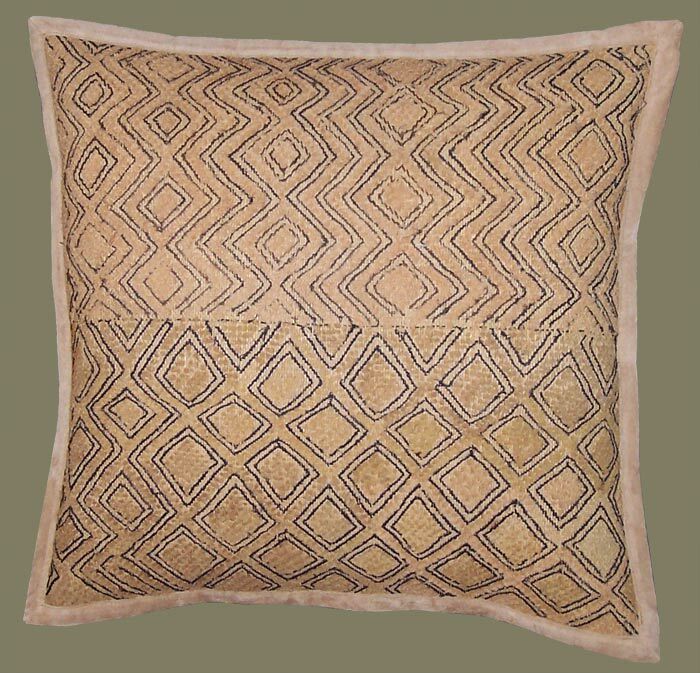 Description: This Ethnic, Decorative Kuba Cloth Pillow Exhibits a Strong Lattice Pattern Design. 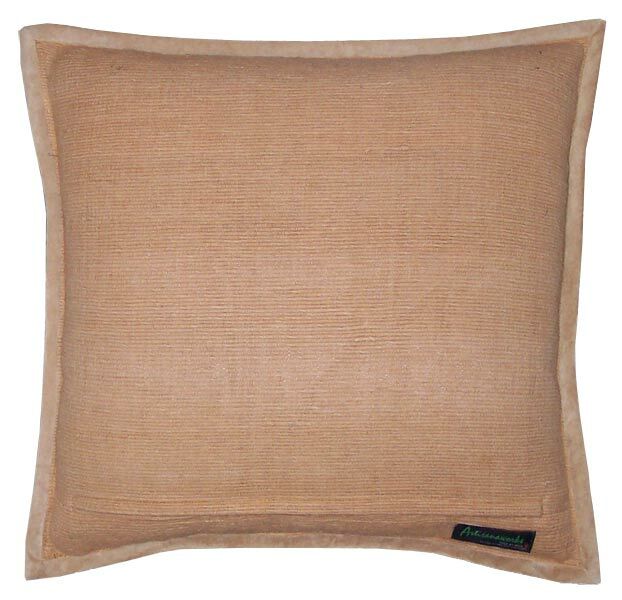 It is Backed in a Camel Colored, Hand Loomed, Hand Dyed, Hand Woven Cotton, Maintaining the Hand Crafted Nature of the Kuba Cloth Textile. Edges are Bound in Sueded Leather. Zipper Closure at Lower Back of Pillow. Both the Leather and Cotton are Reclaimed Fabric From Designer Apparel. Colors are Camel, Buckskin, Straw, Chocolate, Walnut, all in a Lattice Motif. Kuba Cloth is a Hand Woven, Embroidered, Cut Pile Textile of the Kuba Peoples of Zaire, now the Democratic Republic of the Congo, Africa. It is Sometimes Referred to as “Kasai Velvet”, as it is an Art Form of the Kasai River Valley Region Where the Raffia is Harvested. The Base Cloth of These Smaller Cloths is Woven by the Kuba Men, While the Embroidery is Done by the Women. An Artisanaware Pillow to Fashion the Interior With Rich, Ethnic Flavor and to Celebrate African Textiles and the Craft and the Artistry of the Kuba People, Who, Today Live Amidst Much Strife, Injustice, Poverty, and Instability.